Moog RKPs are high-performance variable displacement pumps that combine high reliability and performance with up to 90% efficiency. Their rugged design, featuring heat-treated sliding parts and zero load on the bearing, ensures a long service life with minimal maintenance downtime. The extensive range of sizes now includes 19, 32, 63, 80, 140 and 250 cm³ pumps. Size 140 cm³ is the latest addition that helps bridge the previous gap between 80 and 250 cm³ pumps in the high-pressure field. The entire range – including the new 140 cm³ – is also available with Moog’s medium-pressure (280 bar) RKP series. “As a global leader, Moog pays close attention to how customer and end-user requirements evolve. We are always looking to strengthen our portfolio to ensure we cover the complete spectrum of customer needs and applications. With the high-pressure series and new size, we endeavour to make it easier for our customers to find the right pump for their needs,” says Dr. Dirk Becher, Engineering Manager at Moog. Highly versatile, Moog RKPs are designed to meet the needs of a wide range of applications. A broad selection of compensator types and control options provide the flexibility to configure the pumps according to the specific application. The pump’s ability to operate at zero speed and unlimited speed range/pressure hold make them well suited to SCP (speed control pump) operations in cycles that require long pressure holds. Additionally, their quiet, low-vibration operation is ideal for applications where noise is a concern. Furthermore, all RKP products are ATEX certified for use in potentially explosive environments. Moog Inc. is a worldwide designer, manufacturer and integrator of precision control components and systems. Moog Industrial Group designs and manufactures high performance motion control products, solutions and services combining electric, hydraulic, and hybrid technologies with expert consultative support in a range of applications in energy, industrial machinery, simulation and test markets. We help performance-driven companies to design and develop their next-generation equipment. Moog Industrial Group, with fiscal year 2016 sales of US $515 million and over 40 locations worldwide, is part of Moog Inc. (NYSE:MOG.A and MOG.B), which has sales of US $2.41 billion. For more information, please visit www.moog.com/industrial. 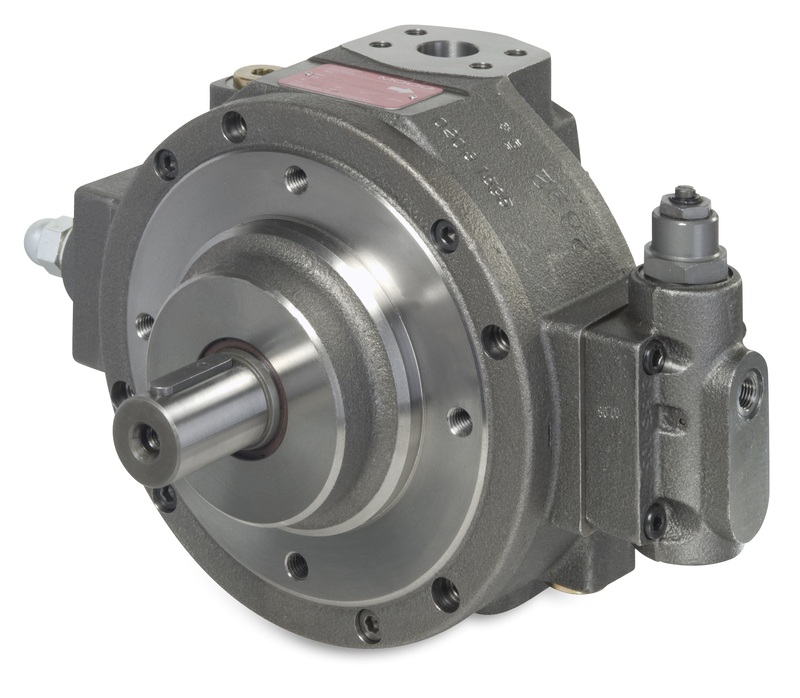 Moog launches new size of high-pressure (350 bar) radial piston pumps.